I recently came across a fascinating new model for accelerating corporate philanthropy in a radically different way. In my 25 years of business, this is one of the most intriguing opportunities I've seen. It is utterly transformative. Corporate social responsibility is actually on the rise at the moment. Pledge 1% is supported by Salesforce Chairman and CEO, Marc Benioff, who is quoted as say "companies can do more than just make money, they can serve others". Richard Branson's B Team supports 100% Human at Work. Conscious Capitalism has an annual summit for CEOs and Presidents to explore how to create supportive cultures within their organizations. Still, a new venture brings Wall Street, CEOs and non-profits together in a way that signals a pivotal time in U.S. history. Celadon Financial Group is a full-service, independent broker dealer that has been providing trade execution solutions for financial institutions and other professional investors in the U.S. and abroad since 1986. Celadon provides multiple investment-related services. The most eyebrow-raising one, however, is offered through Caritas Partners, their philanthropic trading division. Caritas Partners is managed by two veteran New York Stock Exchange specialists, Richard C. Naso and Donald Powell, and focuses on serving public companies that choose to buy back their own stock. Stock repurchase is currently a particularly popular practice, as many of the country's largest companies are holding record amounts of cash, and buying back their own stock has long been considered one of the best ways to increase a company's overall strength. What is so different about Caritas Partners? Many firms on Wall Street compete for share buyback business. Caritas is unique because it works with public companies to advance their corporate social responsibility goals by contributing a predetermined portion of its brokerage commission to a qualified charity selected by the client. In addition, a company also gets to choose how much of a commission Caritas may collect. The higher the commission, the greater the percentage of the commission that Caritas donates to charity on the client's behalf. I said it was radical, did I not? Commissions range from a penny and a half per share, from which 5% gets donated, to five cents per share, which yields a 40% donation. Since the percentage of the donation increases with the per share rate, the amount of the donation can increase exponentially. The client may donate to one of many qualified charities with which Caritas Partners already collaborates, or to one of their own choosing. Caritas Partners has opened this philanthropic trading model to asset managers of nonprofit organizations including nonprofit organizations with internal asset management operations. This model creates a sustainable stream of mission-related revenue to support these organization's fund development efforts. All transactions are executed through Celadon Financial Group. Rather than relying solely on algorithms to determine strategy like most other firms, Caritas take a personalized approach for each and every client, even going so far as to advise a change of course in the middle of a trading day. There is a fully transparent audit trail, as well as an option to publicly promote a company's use of the Caritas Partners program through joint communication platforms. Caritas founder and President Richard C. Naso is an innovative leader with 40 years of NYSE experience. Managing Partner Donald Powell has more than 15 years trading experience on the NYSE, where he was the exchange's head trader for American Depositary Receipts (ADR's) in the Latin America market. There could hardly be a question of two such smart and experienced achievers creating additional success in the financial community. 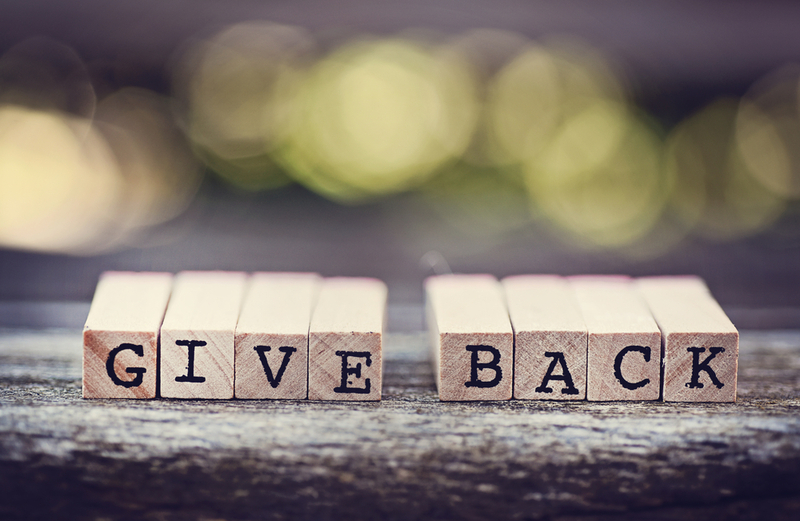 To pursue such a radically different course as luring corporate America into increasing socially responsible giving, however, required collaborators who were not only successful in financial trading services, but also committed to philanthropic goals. In this case, the merging of disparate networks yielded an extraordinary partnership. Lola C. West and Ian Fuller are the co-founders of WestFuller Advisors, a successful boutique wealth management company and Celadon affiliate. The foundation of their business philosophy stands out amongst run of the mill financial institutions, in that they recognize the accumulation and preservation of wealth is not only about money, but also about the creation and achievement of meaningful individual life goals. Lola West is in the Who's Who of American Women and was honored by the "Lola C. West Day" in New York City. She has fundraised and coordinated events for South African President Nelson Mandela, renowned opera singer Jessye Norman, playwright August Wilson, among others. Today, West advises individuals and institutions on how to achieve their vision for the future, and helps them to create the financial goals that will realize their aspirations. She was a senior partner of LWF Wealth Management Group and a wealth advisor with Merrill Lynch for almost a decade of her career, before co-founding WestFuller Advisors. West was on the board of directors of Jazz at Lincoln Center for several years and continues to be active in the New York community. She is a Charter Member for the Advisory Council of the Elizabeth A. Sackler Center for Feminist Art at Brooklyn Museum, as well as a member of Friends of African American Art at Brooklyn Museum, MoMA and the nominating committee for the Four Freedoms Award by Roosevelt Institute. Ian Fuller firmly believes that finance is a pathway to strengthening society. In addition to his dedication to the Arts, Fuller is fiercely committed to social entrepreneurship and community development. He works closely with both organizations and individuals, not only to harness the maximum power of their finances, but to also imbue them with purpose. Prior to co-founding WestFuller Advisors, Fuller moved from analyst positions with United Nations Population Fund and KPMG Hong Kong to serving nearly 5 years as a wealth advisor for Merrill Lynch, and then as a partner of LWF Wealth Management Group. Fuller provides mentoring to urban youth throughout the New York City metropolitan area, as well as pro bono instruction for financial literacy. He serves on the board of Color of Change, and is the treasurer of many non-profit and philanthropic organizations, such as the United Nations Association of New York, The Workers Lab, Resource Generation and non-profit art gallery City Without Walls. Together, West and Fuller seemed destined to continue along their intended path of successfully providing financial services with a humanist touch. Certainly a uniquely worthy goal, in and of itself, it has now been propelled to a whole new level by their involvement with Caritas Partners. And who better to align with a company which upholds the ideal of "Capitalism on a Mission" through true social impact.